By now, you’ve probably heard about all of the wonderful physical benefits from dancing. You’ve maybe even heard about the endorphins that are released to help you relieve stress and leave your class in a better mood than when you came in. However, when considering whether or not to sign up for dance classes, most people miss factoring in two of the BIGGEST positive benefits because they aren’t talked about often. Each semester in my college classes, I ask my students, “What does a (this) silly dance class have to do with the rest of your life?” Unless they are a dance or fitness major/minor, they may be thinking they won’t get much more than a couple weekly workouts and credit towards their degree. The answer is self-esteem & confidence. Every class that my students & I hit the dance floor, they are repeatedly stepping out of their comfort zones, boosting their self-esteem and confidence. So, if a person has practiced stepping out of their comfort zone, taking small risks, over and over, how much more likely are they to take a risk and apply for that new job? How much more likely are they to go after that promotion? How much more likely are they to stand up and say something, even if it’s uncomfortable? In life, there are SO many reasons, many even in our own mind, that tell is “no”, “you can’t”, and “you’re not good enough”. We all need more in our lives that will build us up, and help us gain & retain the confidence needed to pursue our dreams & happiness. A simple dance class for fun is practice and help in doing that. 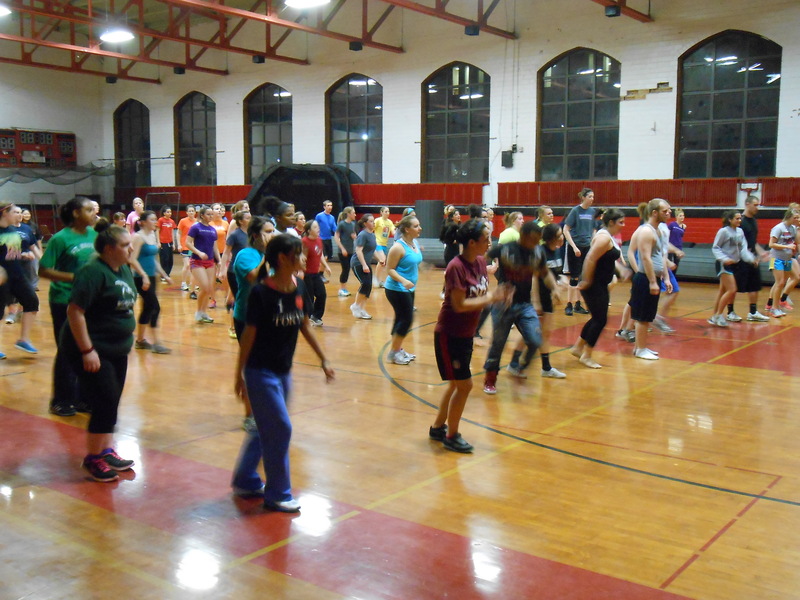 A Zumba Class with Miranda at Benedictine College, 2013. Don’t limit your potential because you’re settled in a comfortable routine. Step outside your comfort zone to experience that magic that happens when you do. 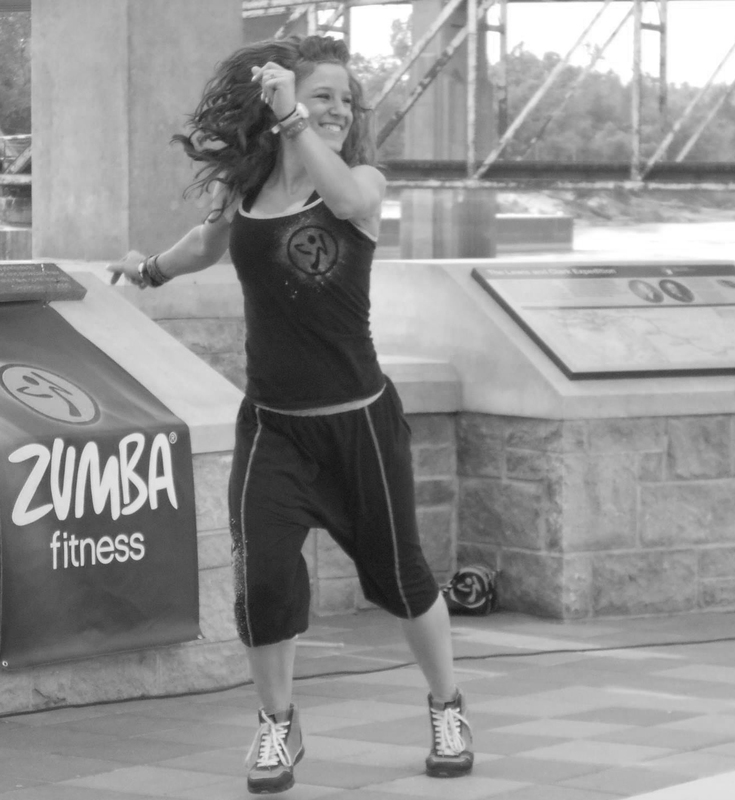 The second “hidden” benefit from dancing is that it can be a healthy distraction. We all have a bazillion things going on in our lives. When you take a dance class, the music starts, and your focus and attention goes to the instructor. For the duration of that class, the focus is on your brain-body connection, thus putting everything else aside. We all need down time. Sometimes it seems impossible to “turn it all off” and leave it alone for later. Even sitting down to relax and meditate can be difficult. By dancing, you’re practicing that disconnect & devoting time for self-restoration. Also, don’t forget about the release of bottled up energy and emotions. Dancing for me has always been a healthy (and fun) outlet. I hope it can be for you, too. I had never thought about how confidence and self-esteem are major benefits of dance classes that people don’t usually talk about! I want my 2 daughters to gain more self-confidence, so I will have to look at getting them into a dance class. They really like softball, but I want them to be able to meet more people and be social, and I think a dance class would be a perfect place to do that and build their self-esteem at the same time.